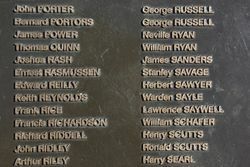 The Memorial commemorates those from the municipalities of Marrickville, Newtown, St Peters, Petersham and Camperdown who died in service or were killed in action during World War Two. 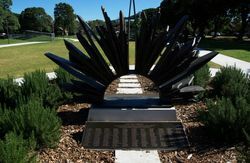 The Memorial was unveiled as part of an upgrade to Marrickville Oval. 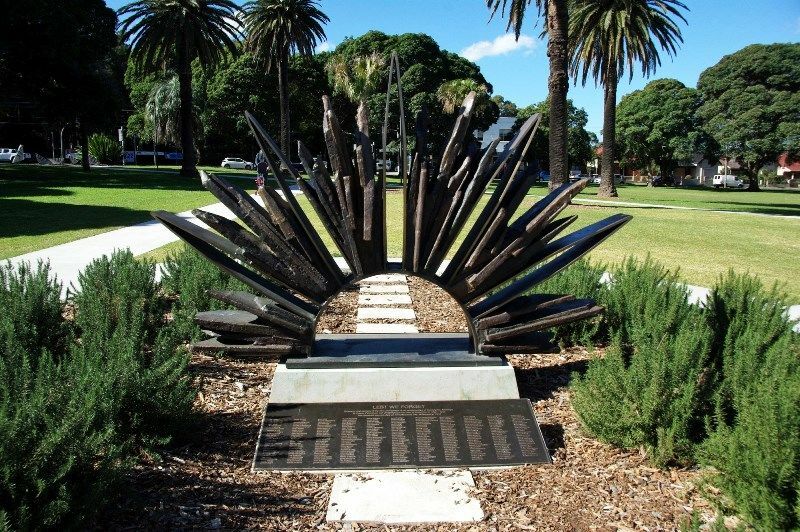 The World War Two Memorial is a new contemporary public artwork by Andrew Poppleton, which references and is inspired by the ‘Australian Rising Sun badge’ by Adelaide artist Frank Bartels in 1893 showing bayonet blades arrayed around a crown. 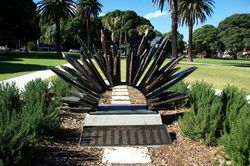 The symbol is integral to the Australian Army Uniform and symbolises the sacrifices made by Australia’s naval and military forces. The large scale (2m high x 2.3m high) artwork is orientated on a North - South access to interact with the rising and setting sun. 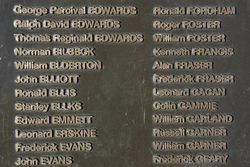 Daylight shines through the sculpture’s arc void to highlight the names of deceased soldiers inscribed either side of the memorial. 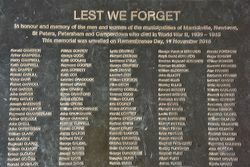 In honour and memory of the men and women of the municipalities of Marrickville, Newton, St Peters, Petersham, and Camperdown who died in World War 11, 1939 - 1945. 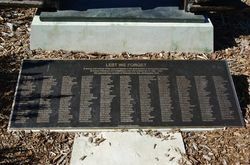 This memorial was unveiled on Remembrance Day, 11 November 2016.